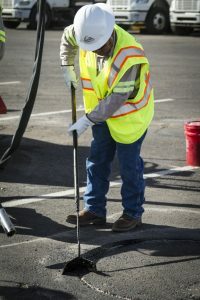 Registration will open soon on the Rowan Marketplace website for the Crack Treatment Program Workshop taking place on May 1, 2019 at the South Jersey Tech Park, sponsored by CREATEs. A link will be e-mailed to our subscribers and posted to this website. 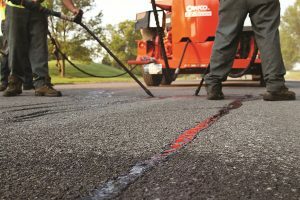 This course discusses crack treatments in hot mix asphalt pavements detailing the “why, when, where, and how.” Whether you have considered starting a crack sealing program or already perform the work in-house or by contract, this presentation details the process with current techniques, materials, and equipment. All participants will be provided an opportunity to engage in hands-on demonstrations. The course instructor is Mr. Eric Lynch. All participants will receive 3 PDH credits! No fee charged to government employees – must register using government e-mail address.